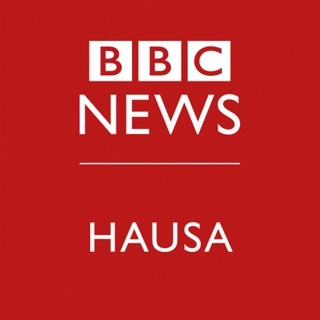 Legit.ng - Nigeria’s #1 digital news publisher. Legit.ng is a modern Nigerian digital media platform. We are here to select and present the best stories, that are interesting, entertaining and useful. Legit.ng is your guide, leading the way through the news. 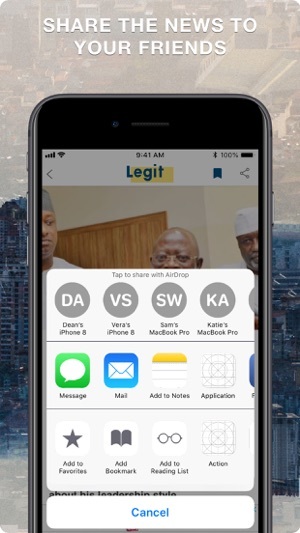 In October 2018 NAIJ.com upgraded to Legit.ng. 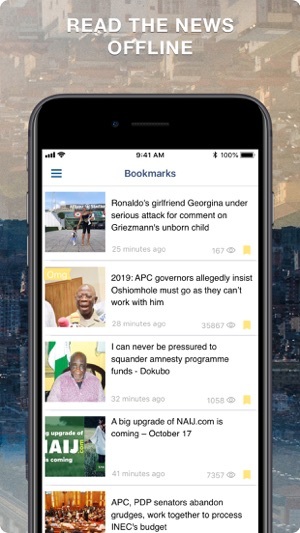 The primary goal of NAIJ.com has always been to protect the audience from fake news, so the new name represents this idea the best. We always double-check the facts before publishing and avoid using misleading headlines. With the new name of NAIJ.com came a modern design and visual style of our platform. 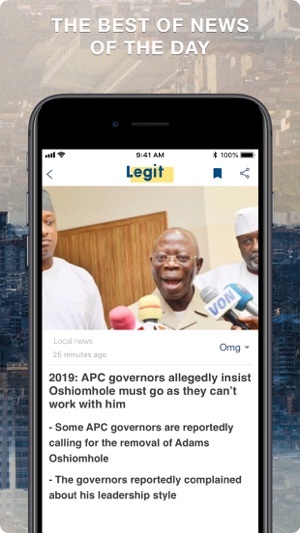 Download the Legit.ng app and make sure. • Photo and video reports. Also, we have premium in-app subscriptions allowing to make the most of the news and stories without ads. Try it and enjoy ads-free Legit.ng! We will be glad to hear your comments and suggestions for improving the Legit.ng app. Contact us at newssupport@gen.tech. 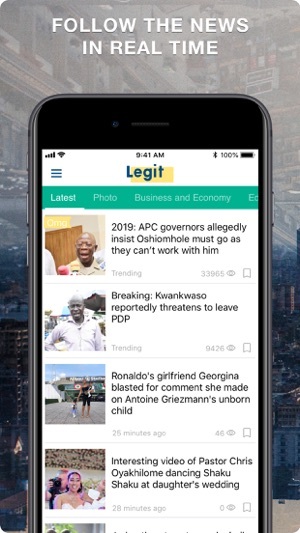 Add a hashtag #legitnaija to your publications in social media if you want your story to be featured on Legit.ng. 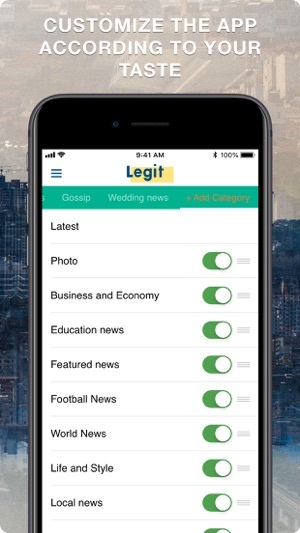 • On 17th October 2018, NAIJ.com Free News App upgraded to Legit.ng. 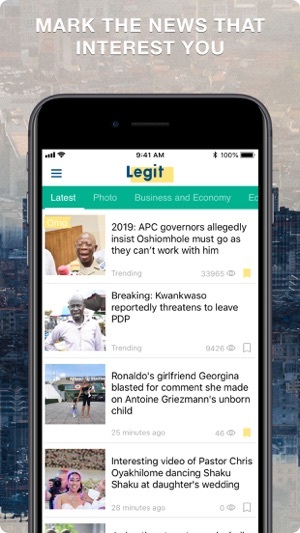 • Over 100 000 users have installed Legit.ng app (former Nigeria News NAIJ.com app) to read trending news and popular stories from Legit.ng - the Nigerian leading digital news site. 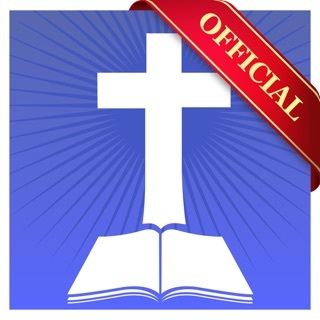 • We have increased the loading speed of news and improved app’s performance. A very simple and fluid app done almost perfectly. 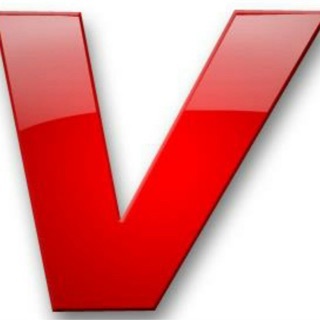 Gives you quick access to the news you want. Although, if I could get a notification tool to notify me during a breaking news or fresh news about your favorite category (like politics for ex) would rate 5 stars. Overall not bad at all. Your comment section seems not to be working. Unless the Nigerian APC Government is blocking opposing views.